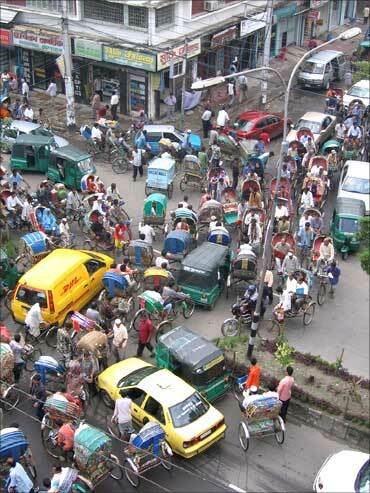 There are so many things in India jinki Condition serious hai but nothing can beat our own Indian traffic. 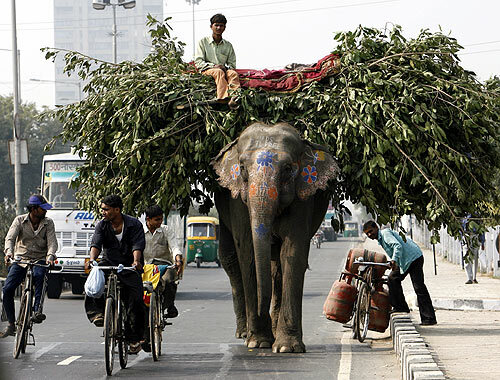 How can one define Indian traffic, how else other than by this simple photo. And you never know when you would meet an animal on the roads from Dogs, Pigs, Cows and even to rare sights in a city like camels and even Elephants. And they just keep on walking rest of the people have to find their own way as might know Elephants don't believe in giving sides. And when there are no animals which is never the case then your way may be blocked by some celebration - march of a party or mostly by a wedding. When some foreigner comes to India beside our natural beauty and religion they are most enamoured by our Traffic and they unanimously agree that Iski to Condition serious hai. May be we can give all a Cadbury 5 Star to cure this Serious Condition. After all it's a known cure to treat all kind of Seriousness. Thanks Cifar and I agree.